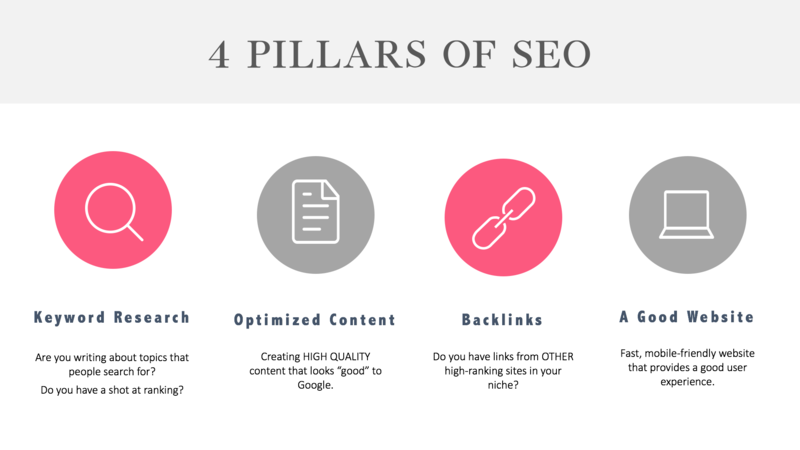 This course will teach you the 4 pillars of SEO and exactly how to implement them to start getting a HUGE boost in free traffic from Google. The course is now available for self-study. Effortlessly attract your ideal client by creating content they are searching for. Write killer content that Google and your readers will love. Build your organic search traffic to at least 25,000 sessions per month so you can start earning REAL ad revenue ($1k+/mo). Network online to build more links to your website. Sound great? We’d love to have you! Every dietitian who is creating blog content should take this course. These strategies will scale your business and are essential to our profession excelling as experts. There’s no point writing content if it’s not getting in the eyes of the public. Erica is an amazing mentor and helps you through each step with individual support to every question. I have learned so much not only about SEO but how to run an amazing course. I am so glad that I decided to take this course. 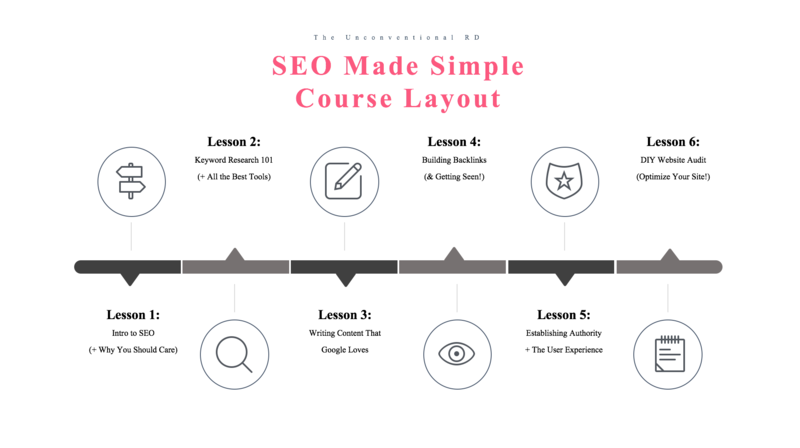 Before the course, I really didn’t understand content creation, what SEO REALLY was, or the steps to build a successful blog. I am really confident now. I know that by following these steps I have a fully optimized and streamlined process for content creation and promotion. This course helped me develop a blogging system. It hasn’t been very long since I started implementing these strategies but my traffic has already doubled!! I cannot recommend this SEO course enough. The actionable steps in this course and support through the Facebook Group were invaluable. Before I took this course I felt overwhelmed by what I needed to do to be found on Google. Now I feel confident that with persistent effort, my work will pay off. I finally feel I am working smarter and not harder. I was completely lost when starting my blog. I had read so many articles written by all of the “top SEO” people and got nowhere. This course brought everything together that was relevant for me as a dietitian and in a way that was simple to follow. My organic searches have nearly tripled and I am finally attracting clients without having to spend $$ on ads. I am also starting to gain some passive income. I would recommend this course to anyone whose website could use a boost, which is probably everyone!